DESOTO—A number of new officers were name to the Texas Legislative Black Caucus leadership on this week. Chief among them was the election of State Rep. Helen Giddings, D-DeSoto, as chairperson. Now serving her 11th term, Representative Helen Giddings serves the cities of House District 109: Dallas, DeSoto, Cedar Hill, Glenn Heights, Hutchins, Lancaster, Wilmer, as well as part of Duncanville. 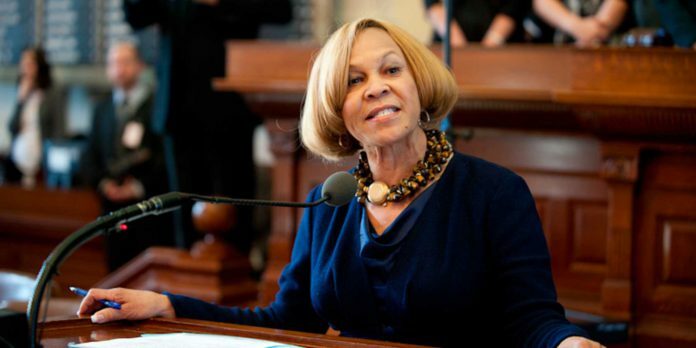 Rep. Helen Giddings has a longstanding reputation as being an ardent education and business advocate; and recently lent her concerns over the recently overturned Texas Voter ID law. The statute was struck down by the 5th Circuit Court of Appeals Wednesday. The stringent Voter ID law passed in 2011 has proven to be an enormous barrier to democracy for Texas’ most vulnerable communities, including college students, the working poor, and the elderly. Some estimates have indicated that up to 700,000 otherwise eligible Texans have lost their right to vote since the law was passed. Other local elected officials were also elected to the Texas Legislative Black Caucus leadership including: Rep. Eric Johnson (2nd Vice Chair) and Rep. Toni Rose (Secretary). Giddings remains humbled and cites a broader scope with her newfound position. “I am honored to have the confidence of my fellow African American legislators to lead the Texas Legislative Black Caucus during this critical time for our state. The talents and skills of every member of the TLBC will be utilized to develop an agenda that builds on past successes and confronts the challenges of today,” she said.